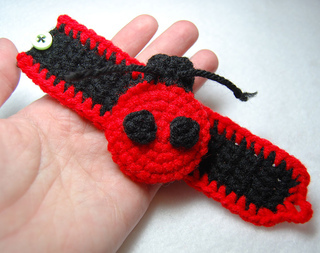 I designed the first ladybug bracelet during a road trip to keep my two-year-old quiet in her car seat. the idea was to give her something bright and colorful to play with that she could not easily throw onto the floor only to demand that it be returned to her. Lo and behold, it kept her busy in the car AND at the restaurant afterward! 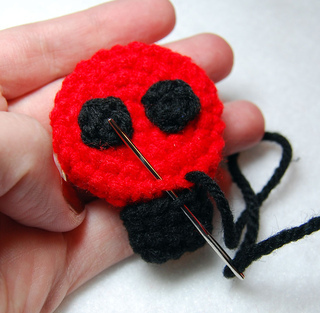 This cute project takes only about an hour and has instructions for toddler finishing as well as for older girls. 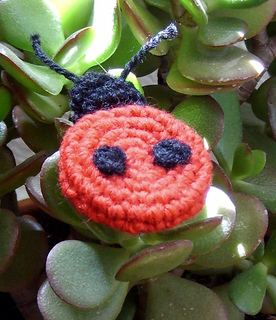 You could even make just the ladybug as a backpack decoration for an older girl! 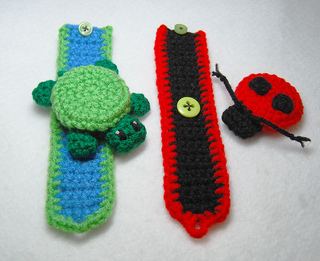 For the companion, Turtle Cuff bracelet, see my other patterns!